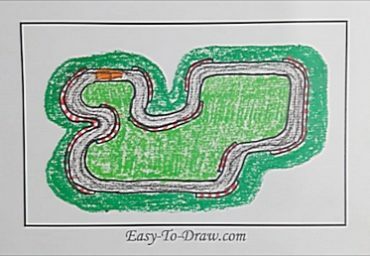 A race track (or ‘racetrack’, ‘racing track’ or ‘racing circuit’) is a facility built for racing of vehicles, athletes, or animals (e.g. horse racing or greyhound racing). A race track also may feature grandstands or concourses. Racetracks are also used in the study of animal locomotion. 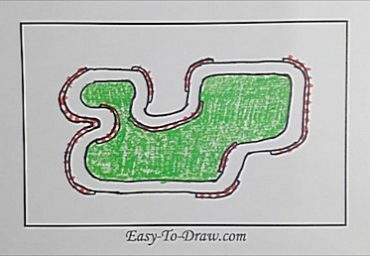 Some motorsport tracks are called speedways. 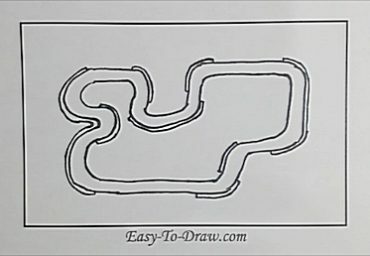 Here are the steps to draw Cartoon Race Track. Enjoy! 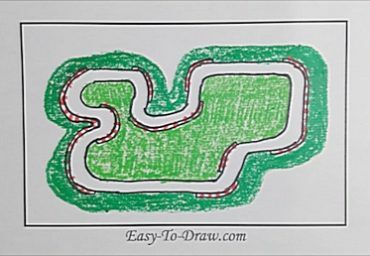 Step 1: Draw the outline of the race track. 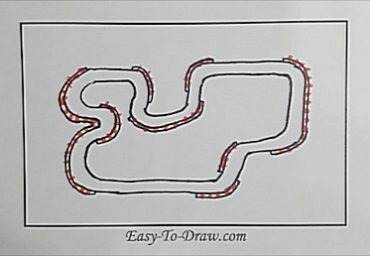 Step 2: Draw a double line as the inside of the race track. Step 3: Draw the outline of guardrail. Step 4: Color the guardrail with red stripes. Step 5: Color the inside grass in light green. Step 6: Color the outside grass in dark green. 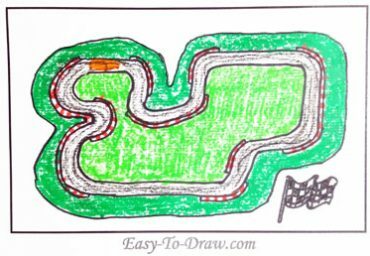 Step 7: Color the race track in grey and draw an orange race car on the track. 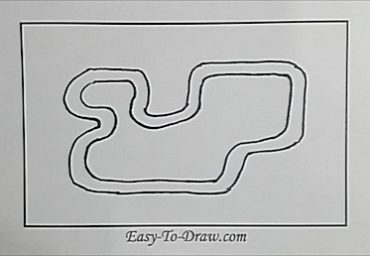 Step 8: Draw a racing flag at the finish line. 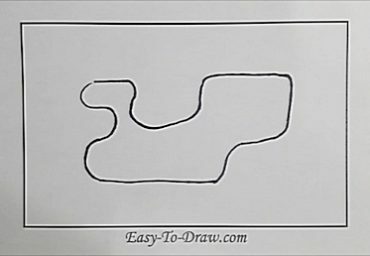 Race Track Video Drawing Tutorial for kids!